Dubai: In Dubai, land is where the returns are for investors right now. In the first six months of the year, plot prices in the city’s freehold zones recorded a 13 per cent gain, offering master-developers and investors a chance to cash in. In comparison, property values in the freehold areas are making low single-digit gains, remaining flat, or even dropping a percentage point or two, according to data from Reidin-GCP. In the coming weeks, the sharp upturn in land values could convince more investors to sell rather than hold on for developing it on their own. Another factor that could push these investors to take such a decision are concerns that Dubai’s property market is seeing a flood of off-plan launches. And not every such project is likely to win over buyers. If so, why not sell the land and make a decent enough profit on it, could be what and owners might be mulling. According to the Reidin-GCP report, while “land transactions have been steadily rising since 2016, prices only began to appreciate since the start of this year. Some of the signs are already there confirming the spike in project activity, especially on the housing side. Over the last two years, Dubai’s master-developers have offered up plot sales as an alternative to properties. In fact, even when the market was passing through the worst of its downturn in 2015, these developers kept those plot sale opportunities coming through. Meraas has done so with its holdings in Jebel Ali, and, more recently, Damac was able to generate a fair bit of traction with plots at its Akoya Oxygen project in Dubailand. These plots were sold for Dh600,000 and higher, and buyers had a 10-year time frame to build on them. (It is not a strategy that works only in Dubai — Aldar in Abu Dhabi has been scoring consistently over the last two years with targeted plot releases in areas such as Khalifa City and Nareel Island. And in Sharjah, there is the multiphase Tilal City.) More of the same could be on the way in Dubai. “We can expect master-developers to do so more,” said Sameer Lakhani, Managing Director of Global Capital Partners. “But what we also observe is they have become increasingly tighter in enforcing development such that there is little or no speculation with the land. Through the last 14 years, returns on land investments in Dubai have out-performed residential units by more than 50 per cent, even after taking into account returns from property rental income, says the latest Reidin-GCP report. 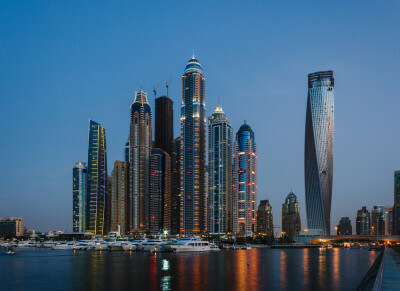 “In Dubai, unlike the last cycle where construction came to an halt due to 2008 financial crisis, this time around development of projects are on the rise,” it states. For investors not having the means to acquire plots directly, there is another option they could pursue. Invest in listed developers with extensive land holdings on their books.